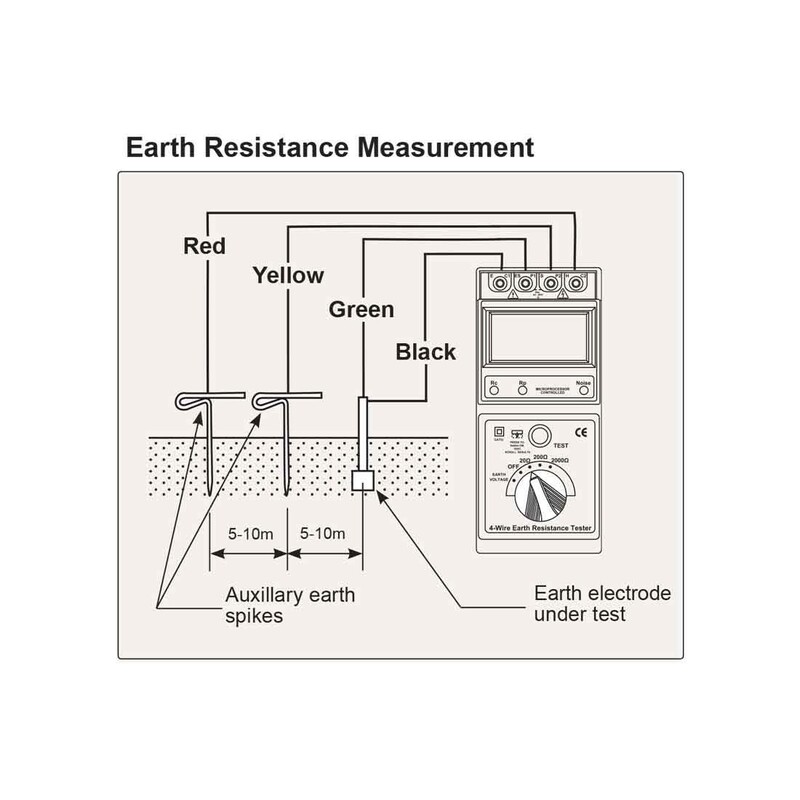 Portable Earth Resistance Tester for four wire testing. Ranges: 0-20.00Ω, 0-200.0Ω, 0-2000Ω and 0-200VAC. Accuracy: ±2% Reading ±3 Digits. Operating Temperature: 0°C to 40°C / 32°F to 104°F . Included: manual, test leads, earth spikes, carrying case, batteries. 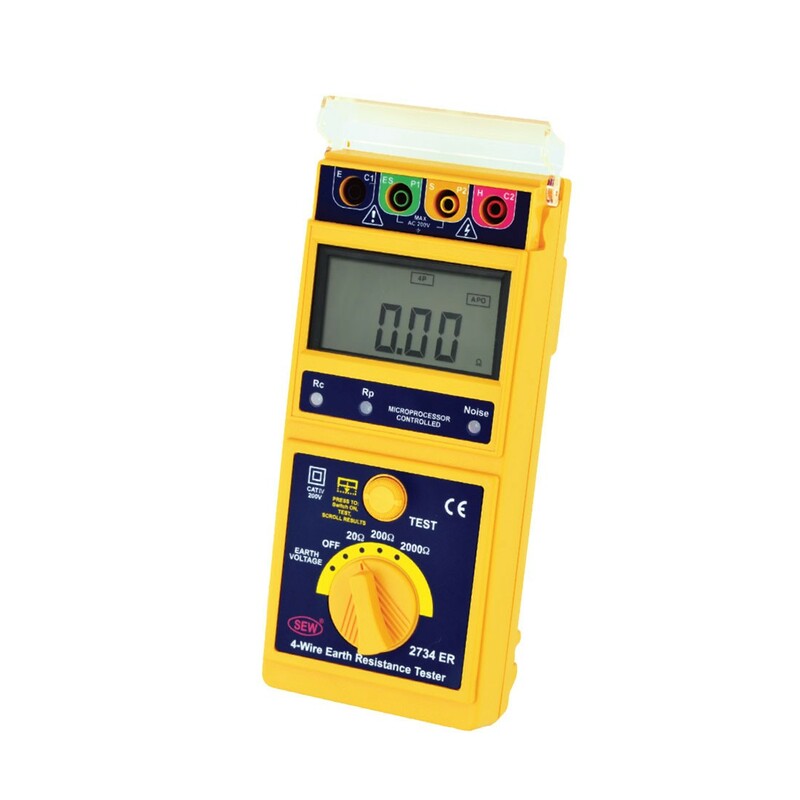 Ease of Use: Select the range using the large dial and press the button to test.